We are known for being trend-setters; our designer wedding invitations are one of the hallmarks which show our incessant innovation approach. Our modern wedding invitations do more than inform and invite, they express your style and latest fashion. The wide collection of invitation is made, keeping in mind any ceremony, be it, marriage, Bridal shower, Birthday, or Baby shower. Add up the Save the Date Cards, RSVP Cards, Thank You Wedding Cards, are offered in any possible rich texture and color as per the ceremony. The main theme being is to be free from any creed, caste and religion, to cater any tradition or custom our designer wedding invites are made in array of papers keeping in mind, the bright colors, the design sensitivity and affordability. 123WeddingCards offer ethnic and traditional collection of designer invitations in handmade and imported papers with impeccable designs. 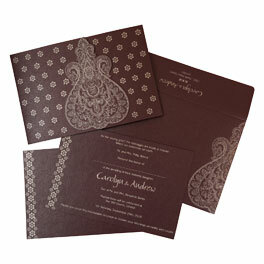 Designer wedding cards entail variety of style with trendy look in form of jewels, ribbons, kundans etc. We have some of the finest collection exclusively designed for wedding, reception and other traditional/modern occasions. 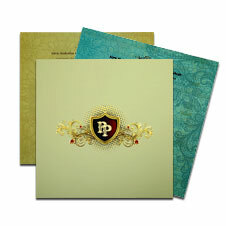 One can use these designer invitations for any occasion or party irrespective of religions. Our price range is also affordable and pocket friendly. We look forward to assist you for any query related to design, customization and color. You name a design and we have it.